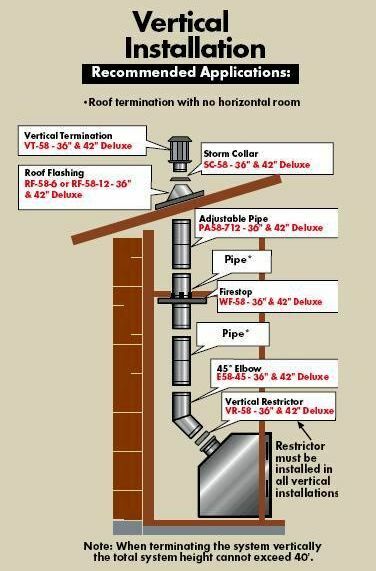 With this through roof ventillation kit from IHP/Superior, you can install a vent system through the roof of your home. This kit is designed with 5 by 8 parts, and it can be installed by following the simple instructions. This simple ventillation process is great for simplifying the ventillation process for your fireplace, and you can minimize the difficulty associated with adding a direct vent system to your fireplace by following these simple instructions and installing your own vents.